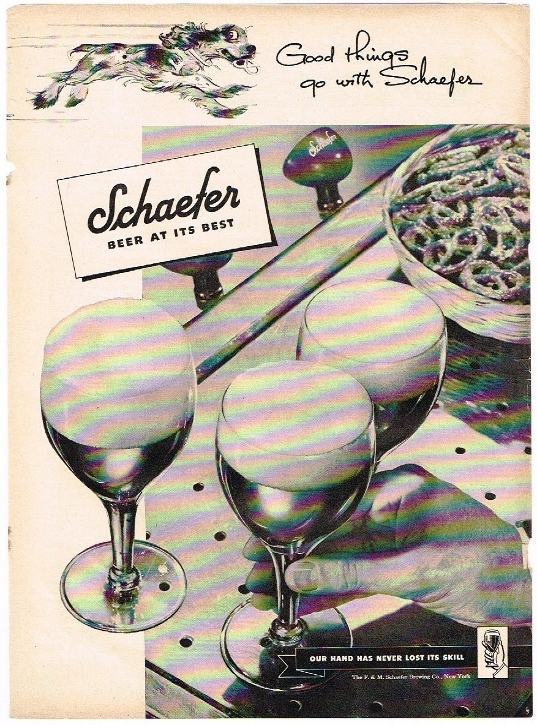 Saturday’s ad is for Schaefer Beer, “first produced in New York City during 1842 by the F. & M. Schaefer Brewing Company.” This ad, from 1947, features a bar with three glasses of beer and a bowl of pretzels. The pretzels I understand, but what;’s the deal with the dog? Today is the birthday of Thomas William Everard (September 8, 1851-January 1, 1925). 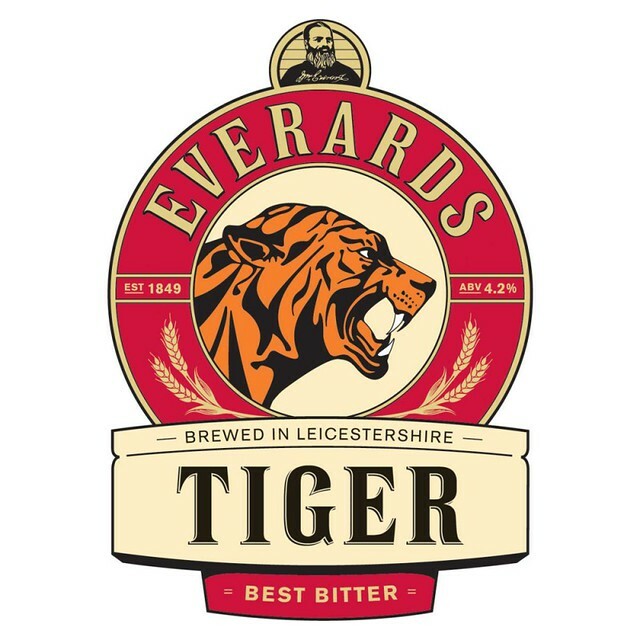 Thomas William Everard was the son of William Everard, co-founder of what would become known as the Everards Brewery, which is still a going concern today, and is still run by an Everard, who is fifth generation from William, and fourth from Thomas William. Thomas William Everard was born on the 8th of September 1851, the year the Great Exhibition was staged by Prince Albert in Crystal Palace in London. 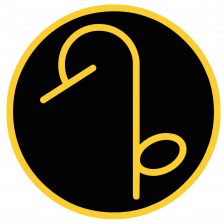 He was the youngest of three children and joined his father’s firm at an early age. Thomas became very involved in his work at the brewery. He was so fond of his work he did not like to take holidays. 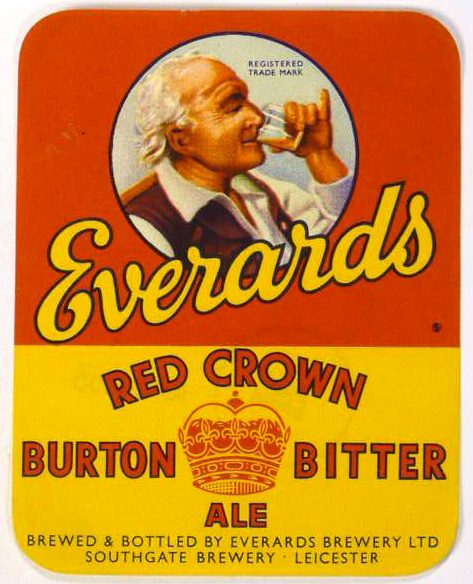 In 1890 a new partnership was formed to run the company- Everards, Son and Welldo. The partners were Thomas, his 69 year old father William, and a local wine and spirits merchant. 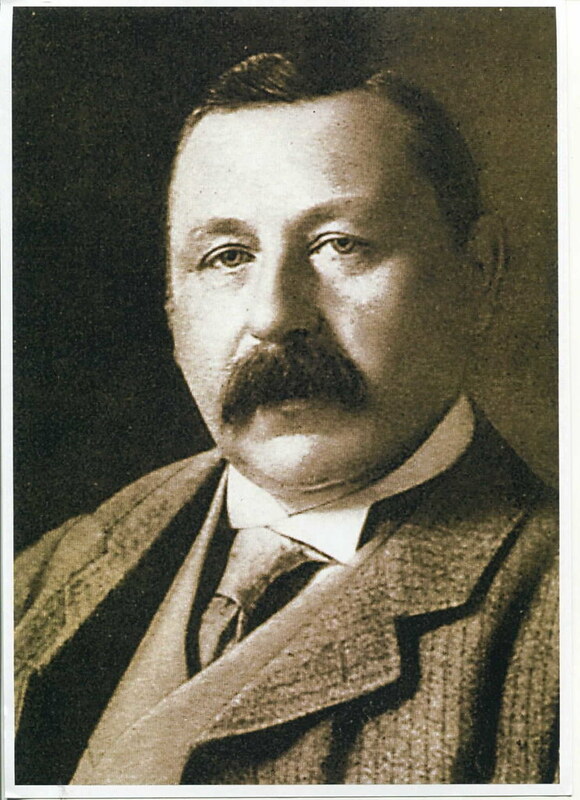 Charles Leeds William Welldon. Thomas took over the running of the brewery after the death of his father William, in 1892. He married Florence Muriel Nickisson of London on the 28th of September 1888. They had two children-William Lindsay, born in 1891, and his sister Phyllis Muriel, born three years later. William Lindsay would later go onto run the brewery. Thomas enjoyed both country and urban life and was an active member of the Leicestershire Agricultural Society, as was his father. He continued the Everards tradition of public service and, like his father; he became a J.P. before being made a deputy Lieutenant of the County, and, in 1905, High Sheriff. The company began as Hull and Everard in 1849 when William Everard, a farmer from Narborough Wood House and brewer Thomas Hull leased the Southgate Street Brewery of Wilmot and Co from the retiring proprietors. Although Hull continued as a maltster, Everard was the driving force behind the business which he managed until his death in 1892. 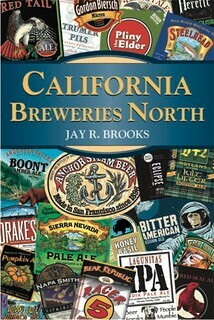 The business expanded as the company progressively acquired outlets, with over 100 pubs by the late 1880s. In 1875 the company moved to a new state of the art tower brewery designed by William’s nephew architect John Breedon Everard. The brewery, on the corner of Southgate St and Castle St extracted very pure water from wells 300 feet deep beneath the premises and steam engines played a significant part in the mechanisation. After the death of William, control passed to his son Thomas. The historic centre of the UK brewing industry remained some 40 miles away at Burton-upon-Trent, which by the 1890s produced one tenth of Britain’s beer. Everard’s leased the Bridge Brewery on Umplett Green island in 1895 but its 10,000 barrels per year capacity proved insufficient. It was replaced with the newer Trent brewery in Dale St which became available after going into liquidation in 1898. 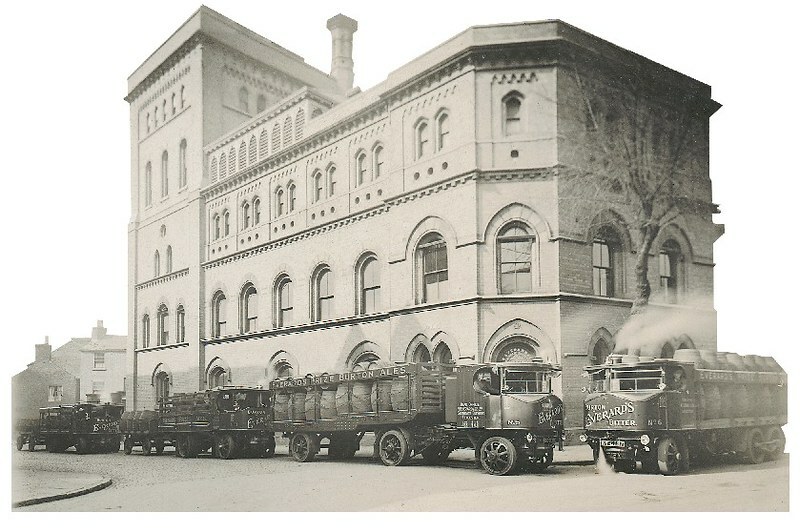 The Southgate brewery remained the distribution centre to the Leicestershire pubs with beer arriving by rail from Burton. The Trent brewery was purchased outright in 1901. It was renamed the Tiger Brewery around 1970. At some point their Tiger Best Bitter became their flagship beer, and I remember really enjoying during my first CAMRA festival in the early 1990s. It was a regional festival in Peterborough, which happened to be going on in later summer at the end of my wife’s summer semester at the University of Durham. So we took the train up to Peterborough from London to attend the festival, and it was great fun. 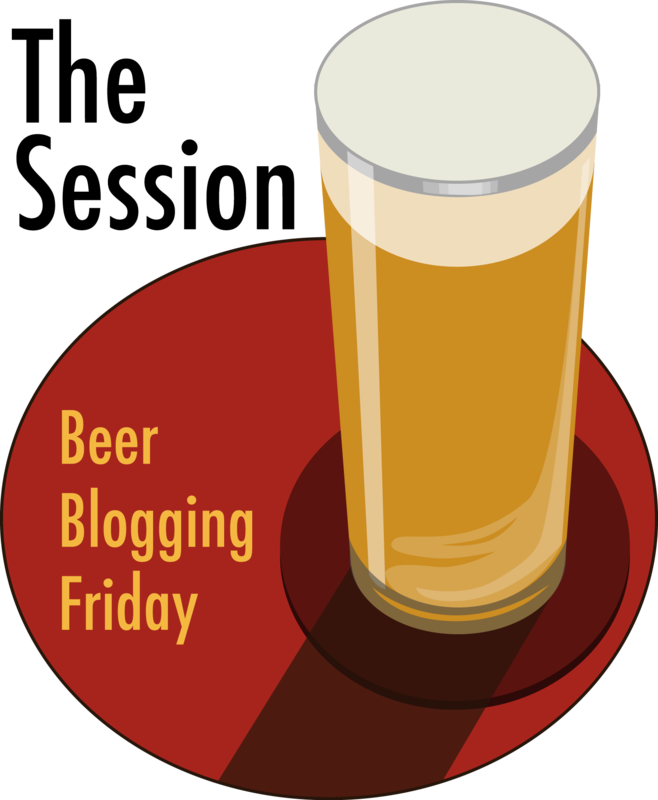 I had many fine beer that night, but for whatever reason I clearly recall liking this one. 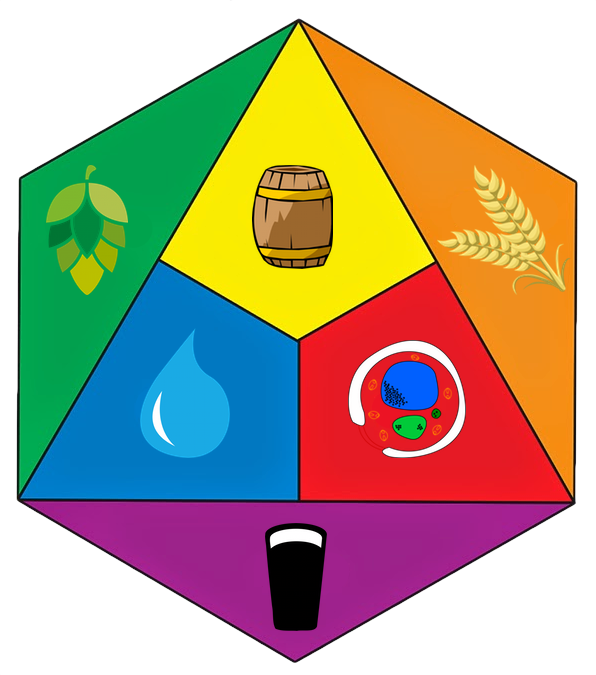 Today is the 51st birthday of Terence Sullivan, the former Field Educator and assistant brewmaster at Sierra Nevada Brewing, though he recently had a new title bestowed on him: Product Manager. 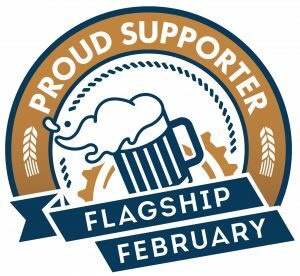 He’s been with the brewery nearly forever, and in recent years has become one of their ambassadors, traveling the country representing the brewery at numerous events, as well as coordinating Beer Camp. He’s also a terrific person and a great guy to have a pint (or six) with. Join me in wishing Terence a very happy birthday. 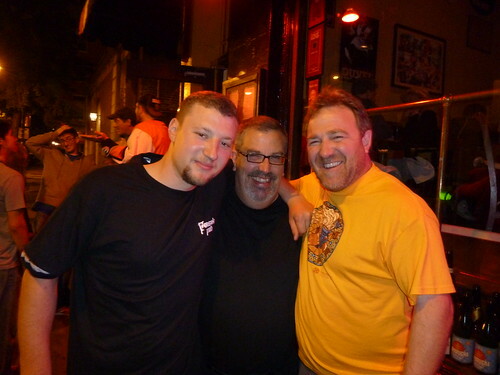 Brian Grossman, Tom Peters and Terence outside Monk’s Cafe during Philly Beer Week 2010. 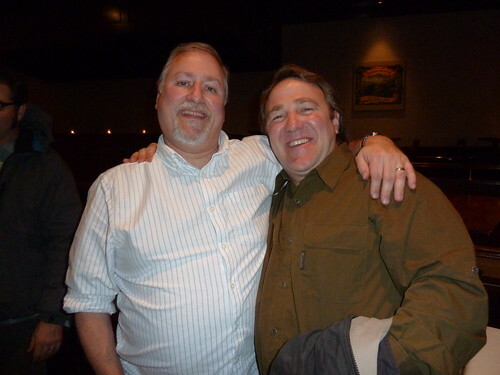 Terence and me at a Sierra Nevada beer dinner a few years ago. 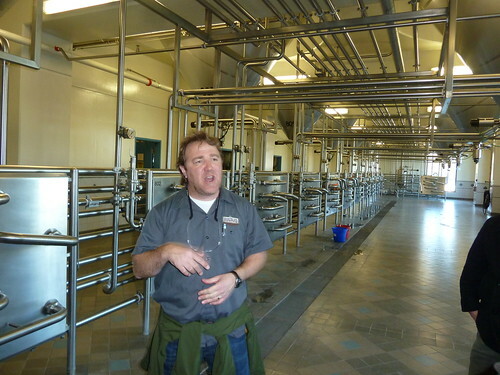 Giving a tour of the brewery during our SF Beer Week beer camp in December 2010. 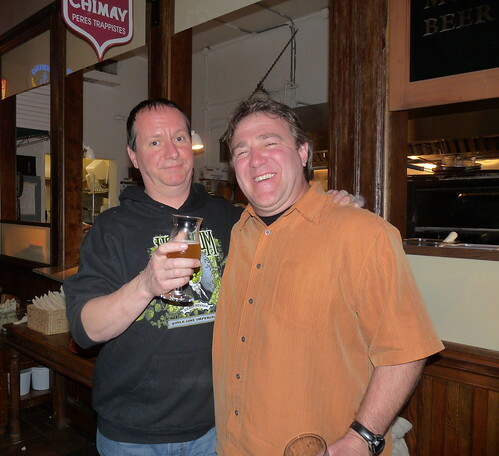 Pi Bar’s Rich Rosen with Terence Sullivan at Sierra Night at Pi Bar during SF Beer Week 2011 (photo purloined from Beer by BART’s Steve & Gail, from their Flickr Photostream). 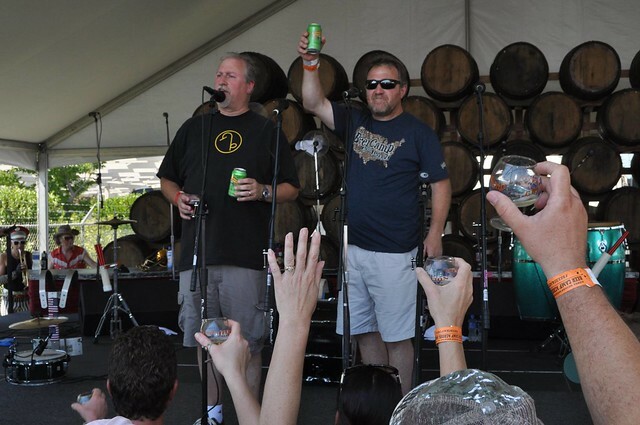 Me and Terence on stage at the Chico Beer Camps Across American festival two years ago, raising a toast to Fraggle.